Each week, DMW gives you a quick summary of the biggest and most important news that impacts you and your business, in the fast moving worlds of Video Marketing, SEO and Social Media! Are You Targeting The Most Popular Social Networks In Your Country? Are Broken Links Hurting Your SEO Rankings? With Facebook’s recent announcement that their “biggest focus continues to be putting video first”, it is becoming more and more important to track how your videos are performing across all the various Social Networks. The simplest way to do this is to measure the number of times a video has been viewed. But how do you do that when each network has its own interpretation of what constitutes a video “view”? So a huge mistake that most people make is to incorrectly assume that a video that has a high number of views on Facebook is performing well. You may find that when you dive further into the stats that the majority of viewers only watch the first 10 seconds. 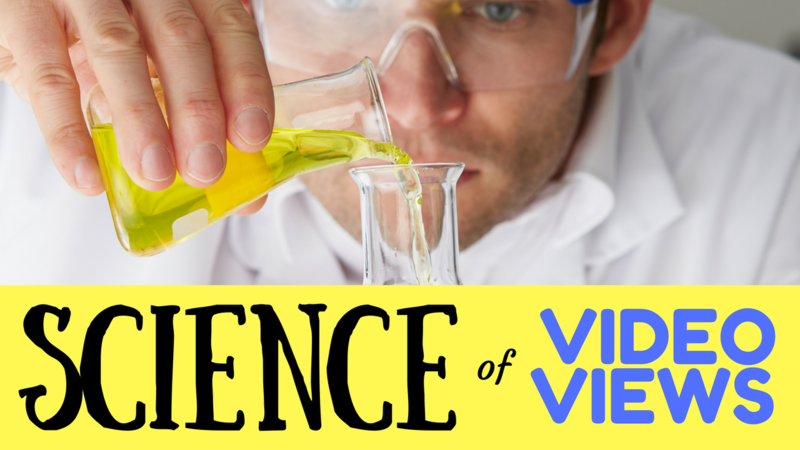 Clearly, using the view count as a way to measure a video’s success can be misleading. So the key takeaway from all of this is that it’s important to know how each network measures a “view”, use the view count as a quick filter when reviewing your videos, and then review the video metrics in more detail. 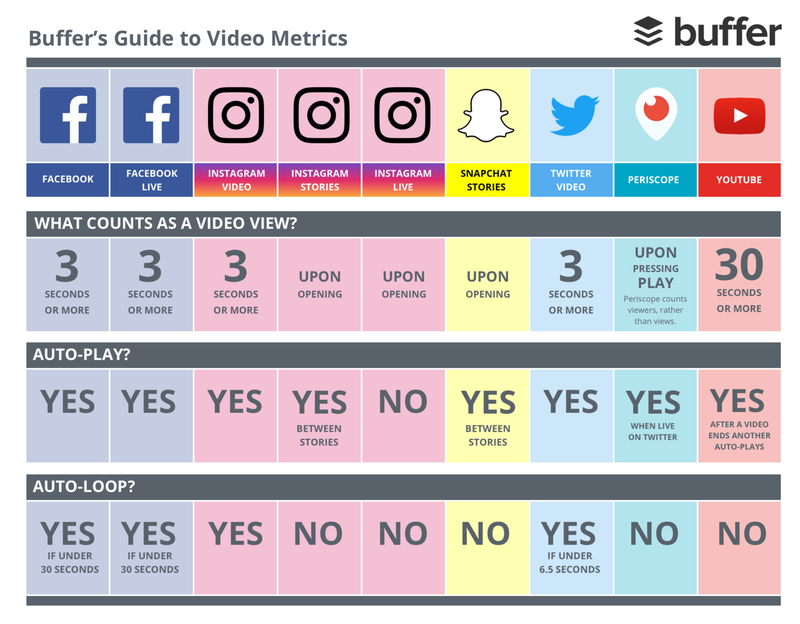 To learn how to access all of the video metrics available on each Social Network, check out the Buffer blog post here. When most people hear the words “Social Network”, they immediately think of Facebook - and it makes sense as it’s the world’s most popular network. But did you know that in the US the second most popular network is now Instagram? And there are other Social Networks beating Facebook in China and Russia? 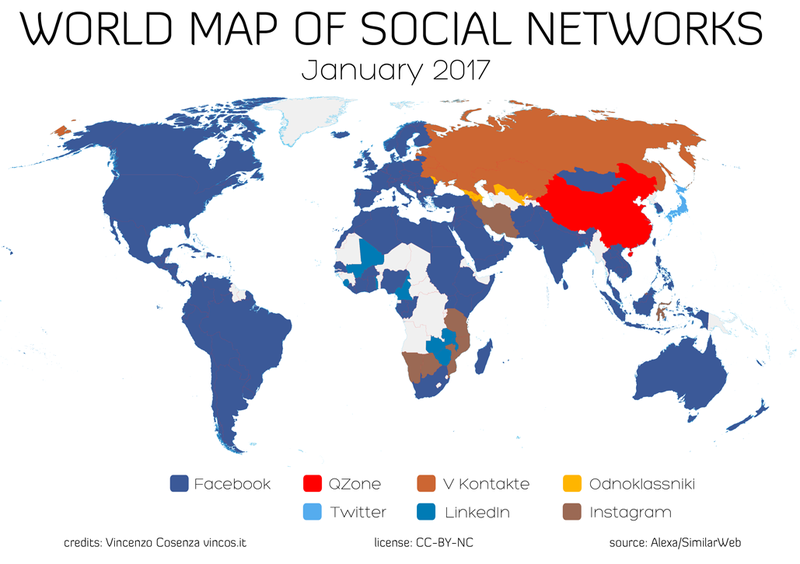 In Russia, VKonkate (VK) is the most popular social network, and in China the top network is Qzone! In Australia and Canada Facebook is still number 1, but Reddit is the second most popular network - and in India the number 2 spot goes to LinkedIn. So before you make your next Facebook or Twitter post, check out the full map - you might find that there are other social networks you should be including in your social marketing plan! Broken links on your website are not only bad for user experience, they’ll also hurt your SEO according to an article on VerticalMeasures.com this week. Google’s web crawlers travel from link to link, and report back to Google when they find a broken link. If users encounter broken links, it’s going to lead to a high bounce rate (which is a critical factor in your search engine rankings), and is going to negatively impact your SEO. Outbound links that take a visitor from your site to another website. Inbound links that link to pages within your website. Where possible, you want to update the links to work, instead of removing the content they were pointing to. This helps to prevent opening a can of worms, and breaking even more links when you remove pages. Another solution is to use a 301 redirect, which safely redirects any traffic that hits the broken link, and pushes them to the right page.